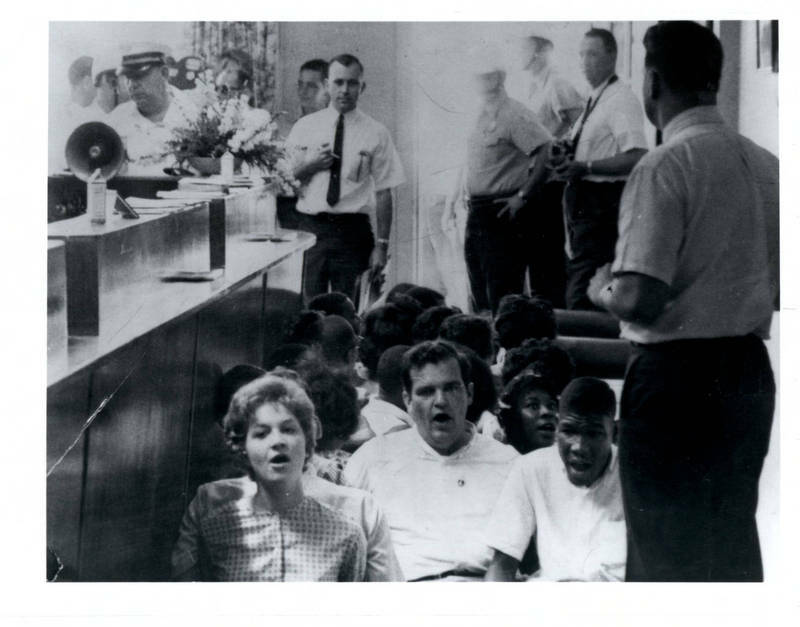 In the spring of 1963, members of the Student Peace Union and town residents in the Committee for Open Business began demanding the integration of all public facilities. Pickets appeared during April in front of the privately owned College Cafe. Protesters launched street marches in May. In July, they increased pressure on the town council by mounting their first sit-in inside a business.